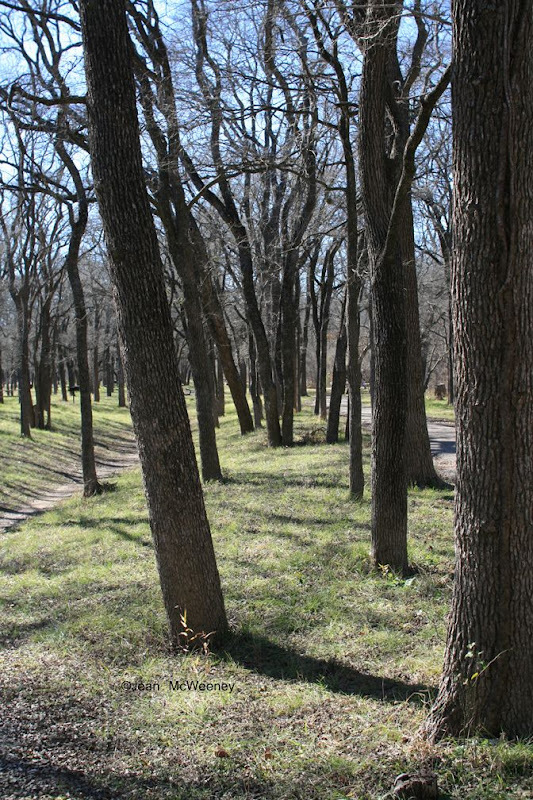 Dig, Grow, Compost, Blog: McKinney Falls State Park and Happy New Year! 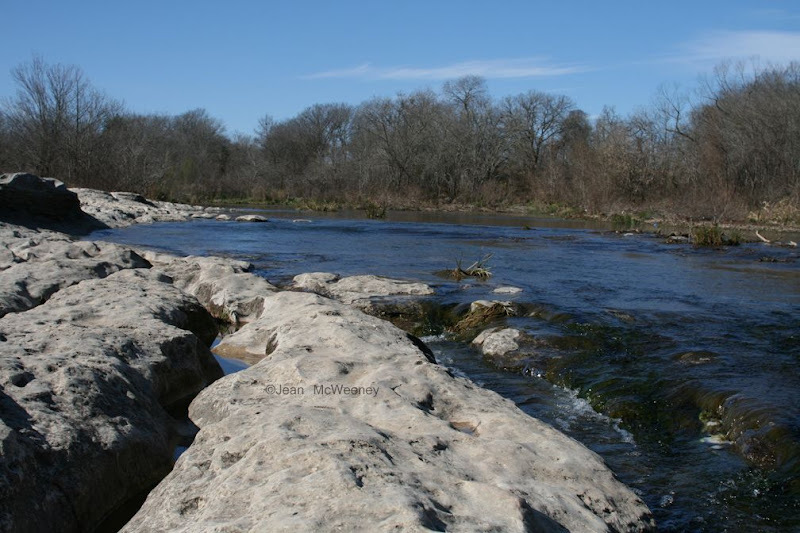 McKinney Falls State Park and Happy New Year! This past weekend after a trip to see family in Houston, we drove to Austin for another quick trip to see friends. The weather was typical Austin winter weather - glorious sun and a nip in the air. Our friend Marcia is a volunteer trail guide at McKinney Falls State Park so we decided to take advantage of her knowledge for a little hike. 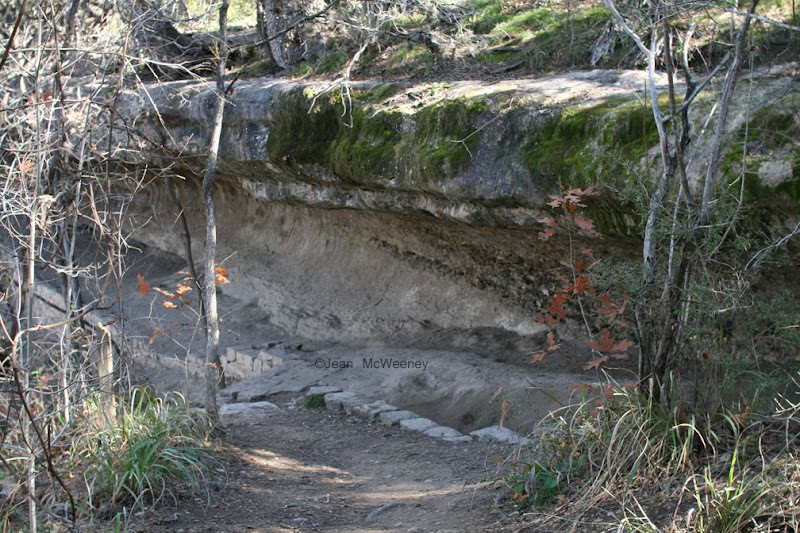 The park is on the southeast side of Austin and has some natural limestone rock formations that have sheltered people for 8000 years. The photo above and below reminds me of my Native Plants class that I took at UT in the mid-70's. We went to this park before it was open to the public then and it was the first time I saw a plant, a variety of maidenhair fern (Adiantum sp. ), growing in the wild when I had only previously seen it in a pot. This is growing right on/in the limestone ledge. 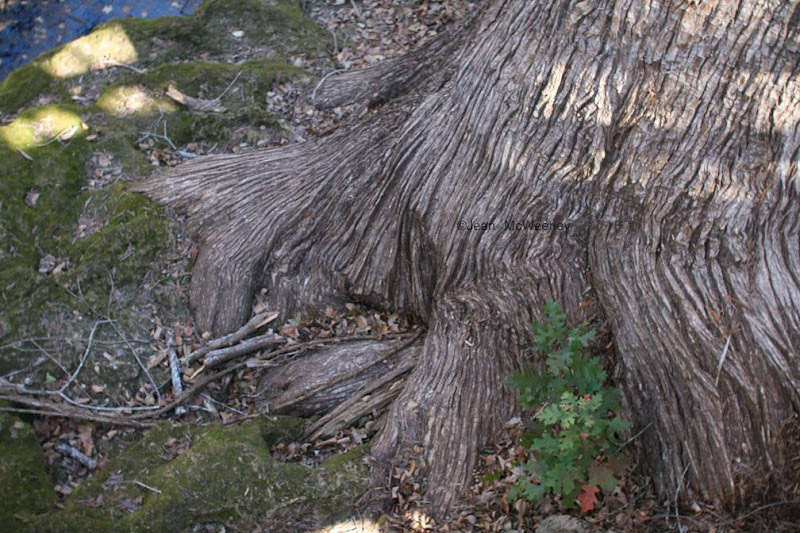 The photo above is of the base of a giant old Bald Cypress (Taxodium distichum), said to be 500 years old. Marcia said the Parks personnel ended up watering it by hand this summer because of the drought. They didn't want the old beauty to die. 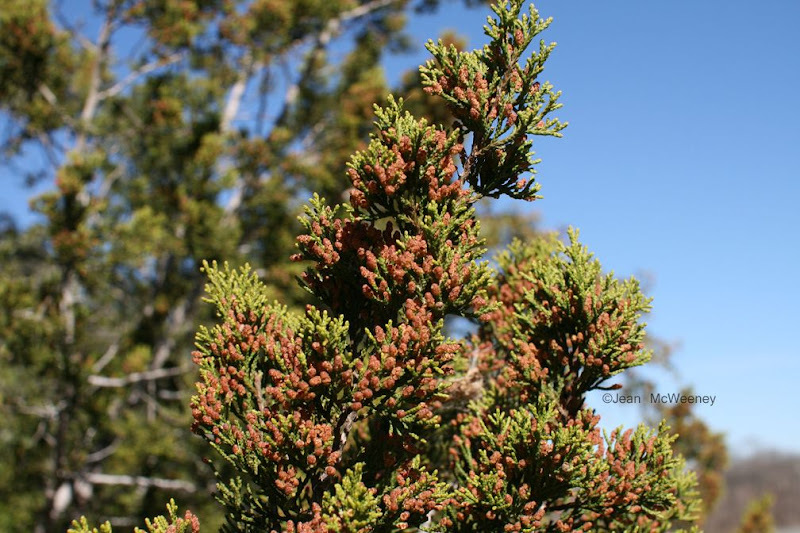 In our walk we came across the ubiquitous Juniperus asheii, otherwise known as the bearer of the dreaded "cedar fever". That orangey stuff on the branches is the pollen and it causes many people to suffer cold, allergy, and flu-like systems for as long as the pollen is around (many weeks!). 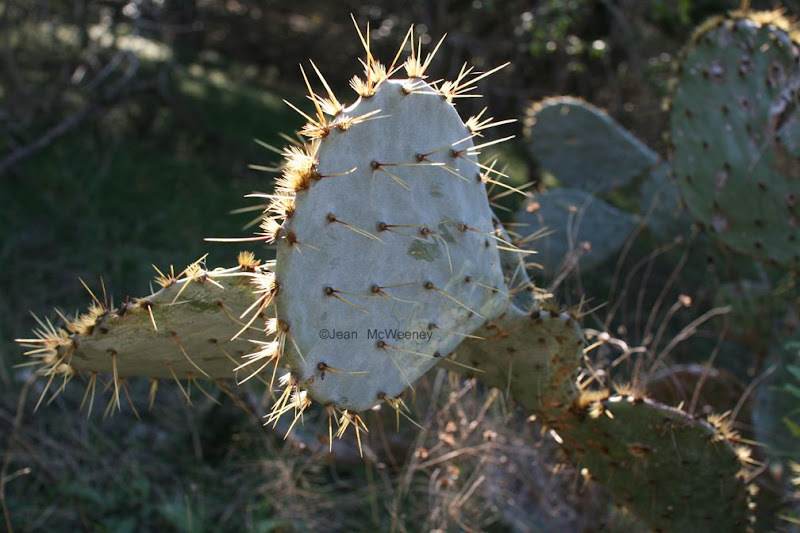 One of my favorite plants, Prickly Pear cactus (some kind of Opuntia). At last we came to the Lower Falls. Marcia said this summer it was barely a trickle. Good to see some water back again. 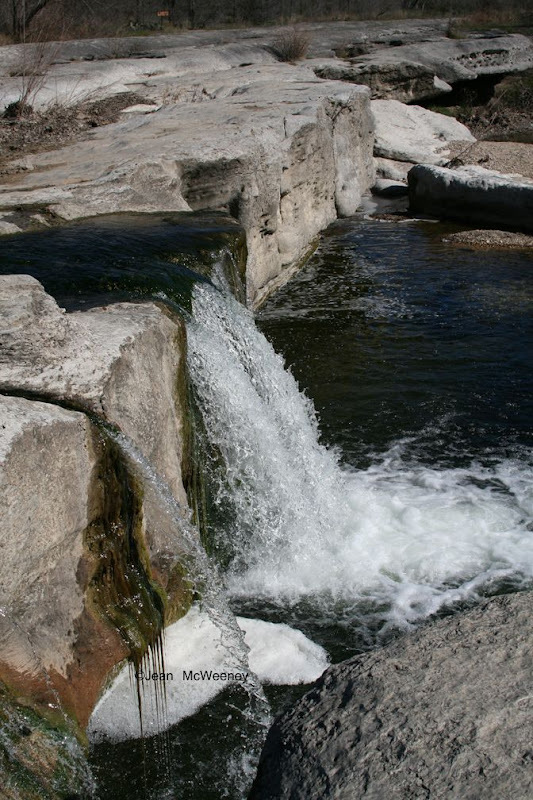 The falls are fed by Onion Creek, a creek that meanders through much of south Travis County (and I think north Hays County). 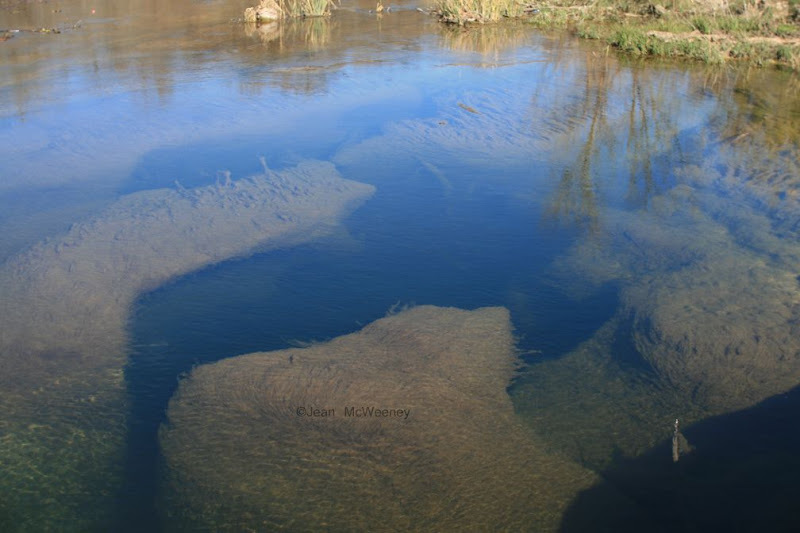 Because of the creek's proximity to a major urban area and thus urban runoff, the creek has its issues with algae growth, which you can see hanging on to the limestone caves under water. Still, it's a little jewel of a park and well worth seeking out for a nice hike, especially with friends or family. I hope everyone has perfect weather, a perfect garden, good and healthy friends and family, and a great 2010! This post was written by Jean McWeeney for my blog Dig, Grow, Compost, Blog. Copyright 2009. Please contact me for permission to copy, etc. Just stopping by to wish you a Happy New Year. I can't wait to start gardening in 2010. Wow, what an awesome park. It looks wonderful. Heard there were ice storms in Dallas earlier this week, hope that didn't affect you! (I guess you were far enough away.) Happy new year! Interesting and yet creepy underwater cave features in that last photo. I've been to McKinney a few times but always with young children, so I haven't had time to linger over the park's beauty. I'll have to go back sometime soon. I'm sorry we missed your visit to Austin, but I'm glad you had good weather and found some fun things to do. Did you make it to Barton Springs Nursery? Nice to travel along with you via the computer. 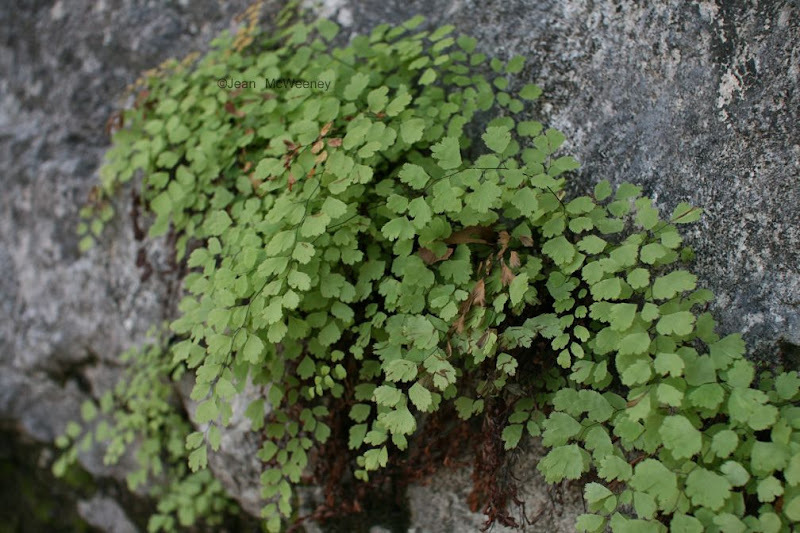 Interesting that the maidenhair fern was thriving in the limestone ledge and yet it can be difficult to keep them happy in a pot. I bought a Prickly Pear at the grocery store and Phillip and I cut it open yesterday. Nice dark pink flesh filled with millions of rock hard little seeds. It looks like a fascinating place. Happy New Year Jean! Happy New Year! I like natural places such as this. Thank goodness for the people who had the foresight to preserve them. It was nice to take a walk with you. Lovely pictures and Happy new Year to you and yours. Lovely photos Jean. I'm desperate to get back in the garden now but will have to dig the snow out first! All the best for the new year. Looks like a beautiful place for a hike, Jean! That is an amazing old tree; I'm so glad the park personnel took such good care of it over the dry summer. Wishing you best wishes and happy gardening in 2010!